“By the grace of God and the support of Horizon House,” Jade is taking dramatic steps to improve her overall wellbeing and live the life she has envisioned for herself. Jade needed a lot of time and patience to grow her regal locks. In many ways, they serve as a metaphor for her life’s journey. For nearly two decades she has struggled with serious mental and physical health issues, but she never gave up. Instead, drawing on her inner resources and strength, and surrounding herself with supportive and caring people, she is overcoming the many challenges that threatened her well-being. She credits members of New Hope Temple Baptist Church and her support team at Horizon House Project HEALTH for her dramatic turnaround. In just six months with the Project HEALTH program, Jade has quit smoking and begun to manage her diabetes through diet and exercise with the help of Health Educator, Linda. Initially a reluctant participant, she is now extremely motivated and an inspiration to others working to manage their own physical and mental health needs. Jade doesn’t like to put labels on herself but she was diagnosed at a young age with bipolar schizoaffective disorder. It has been an 18-year struggle to manage. Now in her early 30s, Jade is seeing the rewards of persistent treatment, care, and courage. Since actively participating in Project HEALTH ’s health and wellness education programs, she has her diabetes under control, quit smoking and took up Yoga. Faith has been Jade’s guide in recent years. 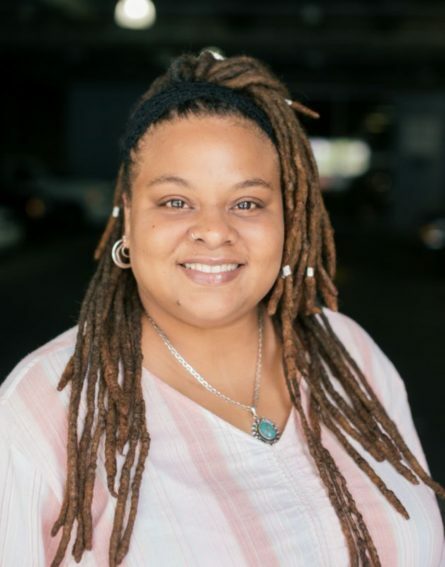 She is currently studying evangelism through her church and at times “viewed smoking in the most dramatic way as disobeying God.” She uses her life experiences to compose prayers — her “poems” — to share her struggles and triumphs with others seeking guidance. Inspired by the support she has received from her Church and Horizon House, Jade recently applied to become a Certified Peer Specialist for Project HEALTH. “I’m finally coming into my own and I want to give back,” she says with excitement.